In this book, which was originally published in 1992, Klaus Scherer brought together leading scholars from the social sciences to discuss theoretical and empirical studies of justice. They examined the nature of justice from the perspective of philosophy, economics, law, sociology and psychology, and explored possible lines of convergence. 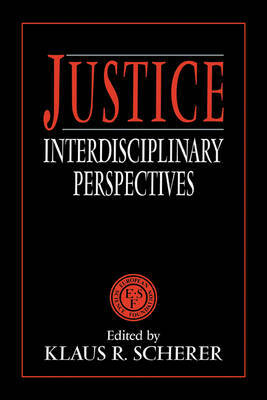 A critical examination of theories of justice from Plato and Aristotle, through Marx, to Rawls and Habermas heads a collection which addresses the role of justice in economics and the law and which evaluates sociological and psychological stances in relation to justice distributive and procedural. All the material is of clear cross-disciplinary interest; and this broad and authoritative survey of thinking on the topic will appeal to all researchers in the area, whatever their background, as well as to those confronting issues of justice in law politics and business.